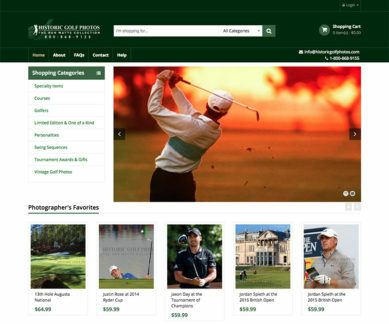 Historic Golf Photos was using an outdated custom e-commerce CMS that was showing its age and having more than a few issues. Updating the website became nearly impossible so an update was pretty necessary. Having done several custom CRM to WooCommerce conversions we saw this as the solution. WooCommerce would give them the ability to adjust and update as needed as well as giving them some additional capabilities that couldn’t use with their previous system as well as easily add more capabilities when the need arose. The result is a very useful and easy to use e-commerce website upgrade.